Linda-Ann Stewart is a nationally known speaker, life coach, hypnotherapist, and writer, with over thirty years of experience in personal development. 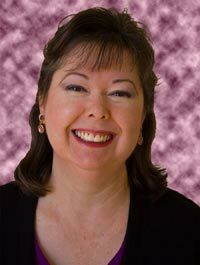 A resident of Sedona, Arizona since 1982, she opened her private hypnotherapy practice in the Sedona area in 1990. As professional member of the National Speaker’s Association, she empowers people to break the trance of their mindset for less stress and more success. Using a holistic approach, Linda-Ann explains how a person’s beliefs, attitudes and expectations can become a self-fulfilling prophecy. She helps people recognize how their thoughts can negatively affect their performance and productivity, and shows them how to create positive attitudes and increased efficiency. Linda-Ann has spoken at many venues in the Southwest U.S., including associations, organizations, schools, industry conferences, and government. Linda-Ann has given presentations and workshops at annual hypnotherapy symposiums, and won a “Member of the Year” award in 1999. As a writer, over 200 articles of hers on empowerment, mindset, and motivation have been published in magazines, newsletters and online. She’s passionate about educating people regarding the power within their own minds. Hundreds of people have learned from her how to reduce stress, improve their self-esteem, break negative habits, and improve their lives. In her Life Coaching practice, people can recognize new possibilities to be able to move forward with confidence and ease. Healthline provides a very comprehensive overview of COPD as a critical starting point for individuals and/or their loved ones. I wish I could, Naiomi. But when I updated my blog, it closed down the comment section of older posts. post. Also, I’ve shared your site in my social networks. This is the right blog for anybody who would like to understand this topic. You understand a whole lot its almost hard to argue with you (not that I actually would want to…Ha Ha). You certainly put a brand new spin on a subject that’s been written about for years. Wonderful stuff, just wonderful! I like to get my inspiration from really meaningful phrases said by truly great people like “We are too weak to discover the truth by reason alone,” do you know where I can find thematic compilations of those? Hi Oscar, I, too, get inspiration from quotes. When I’m looking for one, I do a Google or internet search for a specific topic, like “success,” and add “quote.” In addition, there are books that have compiled quotes from famous people. Keep looking! I’m glad you found ideas that were helpful! I love all your posts. You’ve done fantastic job. Thank you, Michaelnut! I hope they’ve been helpful for you.